The government says it will delay or cut back a number of modernisation projects planned by Network Rail after the company admits its plans aren't achievable. 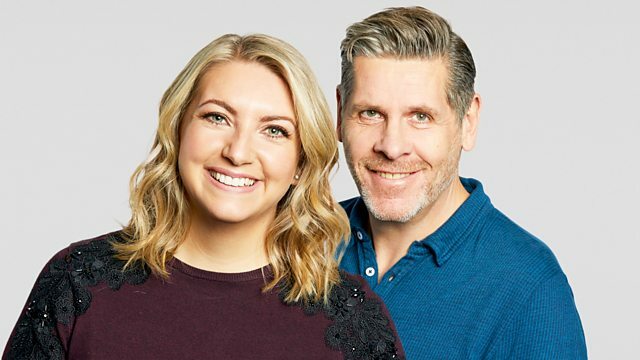 A round-up of the day's news and sport with Tony Livesey and Anna Foster. The government says it will delay or cut back a number of modernisation projects planned by Network Rail, after the company admits its plans aren't achievable. Plus, the BBC understands that David Cameron accepts it may not be possible to change the EU's treaties before the referendum on British membership. And today's official population statistics says for the first time the average age in Britain is 40 - but what makes you middle-aged? Showcasing BBC Radio 5 live's news specials, including in-depth interviews. Highlights from 5 live's Energy Day, including a video of Peter Allen in a hamster wheel.